Getting first responders to the right place at the right time can make a big impact. 2 students at the Fachhochschule in Burgenland understood that and decided to set out finding technology providers to enable this idea to become reality. With our work in many different areas, from helping visually impaired people navigate to asset tracking as part of industry 4.0, our technology is easily used in other use cases. In fact, indoo.rs tech has been used for evacuation in industrial situations) as well. Lukas Hold and Gerhard Pichler are studying “Applied Knowledge Management” at the Fachhochschule in Burgenland. 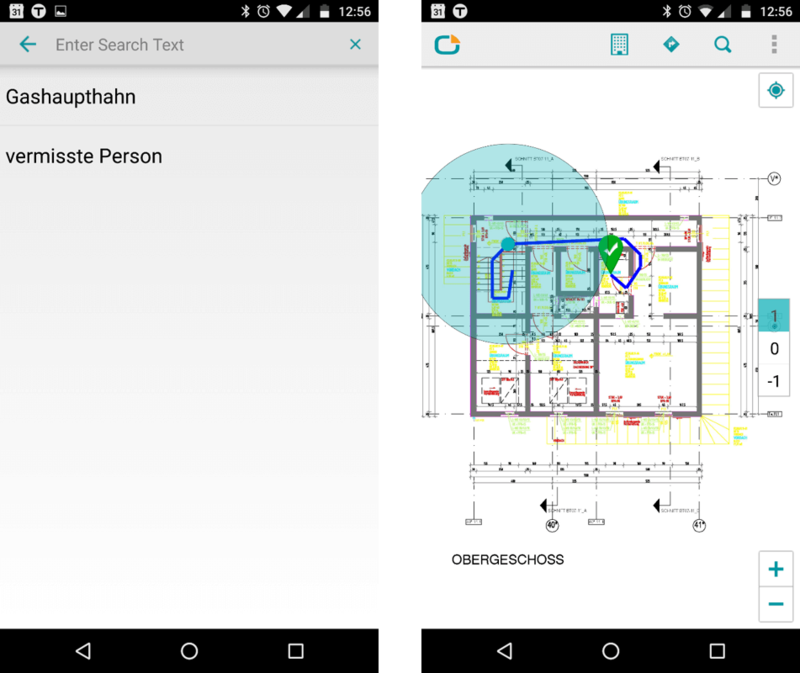 Indoor Navigation had piqued their interest before but they wanted to know to what extent are such systems suitable for emergency personnel (police, fire brigade, rescue and energy supply). In specific, in actual emergency situations to get to the destination quickly or to navigate through smoky rooms. Both Lukas and Gerhard decided to put their plan into action during a semester long project, where they would explore all aspects and get a working system up and running. During the test, the aim was to investigate whether Indoor Navigation in complex building gives an advantage to the first responders in the building and the command centers outside. With our support they were able to achieve an accuracy of 1.7m at the test site. As can be seen in the video, there was an immediate result from the test. With the help of Indoor Navigation, the emergency forces were able to complete the selected test scenarios approximately 40% faster. Insufficient circulation of Indoor Navigation installations. This could possibly be accelerated by law. Touchscreen requires special gloves. Instead of smartphones, specialized devices may be used. There are a few challenges on the horizon for such a use case, however, with our SLAM technology the speed of deployment is no longer an issue. E-911 or Enhanced 911 standard will be a driving force behind this in the US in the near future and we can definitely confirm that there has been a major upswing in projects in this area.